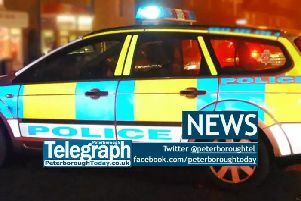 An arson attack destroyed three cars and nearly set fire to a house in Peterborough in the early hours of this morning. Fire crews from Stanground and Dogsthorpe were called reports of to a house fire in Clarence Road, New England, at 4.12am this morning, Tuesday July 19. Firefighters arrived to find three cars on fire in very close proximity to a house. They used hose reels to extinguish the fire and stop it from spreading to a house. Crews returned to their stations by 5.05am.